Bans On Election Meddling By Foreigners Stymies Steve Bannon's Attempt To Promote Far-Right Across Europe - Joe.My.God. The former chief strategist to Donald Trump has spent months trying to recruit European parties to his Brussels-based group, the Movement, which he promised would operate as kind of a political consultancy for like-minded parties campaigning in the bloc-wide vote in May 2019. 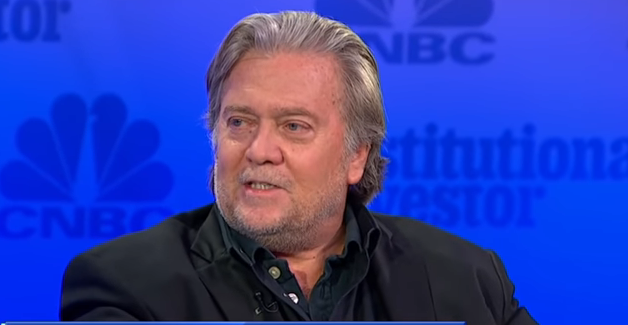 But the Guardian has established that Bannon would be barred or prevented from doing any meaningful work in nine of the 13 countries in which he is seeking to campaign, according to national electoral bodies and relevant ministries. Confronted with the findings, Bannon acknowledged he was taking legal advice on the matter. A former investment banker with a reported net worth of about $50m (£40m), Bannon is personally bankrolling his European operation. He has pledged to spend millions of dollars to provide nativist and ultra-conservative European parties free access to specialised polling data, analytics, social media advice and help with candidate selection. Hit the link for more.